LogicBay provides technology-enabled business solutions that allow organizations to scale early and grow more effectively. Whether it’s our ChannelStack to help them build, scale, and optimize their sales channels, or our FundingStack to access capital through investment crowdfunding, our focus is on tailored solutions to help our clients succeed. Our headquarters is located in Wilmington, NC, with offices in Boston, MA, Warwick, RI, Atlanta, GA, and Seattle, WA. What do you love most about doing business in NC? 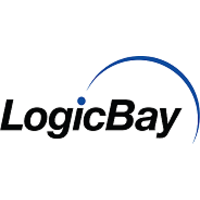 For over nine years, LogicBay has been proud to call southeastern North Carolina home. We have customers spread across the country but love the diversity of people and industry that North Carolina offers, especially in the area of technology. Within the last year, we’ve expanded to work more exclusively with North Carolina business owners that are taking part in investment crowdfunding through the NC PACES Act. It has been very rewarding to take our technology solution – traditionally built for global enterprises – and apply that to a local customer base. If you could describe your corporate culture in just 3 words, what would you say? We understand that markets are always changing and being open to exploring new ways to support the needs of existing and future customers is imperative. This applies to all members of our organization. Not only is it a mindset of creativity and always looking ahead to uncover hidden opportunities and solutions, but an expectation of working together collaboratively to move things forward as quickly as possible. What kind of technology trends have affected your company, and how has your company dealt with those trends? We consider ourselves a forward-thinking company in terms of technology adoption. Given that we are a software company, we need to take on this mindset as a means of continuous improvement. A number of the technology solutions that we have implemented for internal use share a few common elements: the ability to integrate well with other existing solutions, improve business processes, and provide data/insights so that we can make more informed decisions. We have taken a similar approach to the way we have continued to develop our own technology. Our latest example, the FundingStack™, is a configuration that serves as a funding portal for any company looking to take part in investment crowdfunding in North Carolina. Are there any cool or interesting technologies you are working with currently? Operationally, we find ourselves always experimenting with new technologies that help us do things more quickly and more effectively. To drive business growth, we have built out our sales and martech platforms to include companies like HubSpot for marketing automation and CRM, Slack for team collaboration, SnapApp for improved conversion rates, and Triblio for Account Based Marketing. We feel we owe it to ourselves and our clients to be constantly evaluating new ways to achieve great results. We are also very excited for the ways our own technology configuration for use in investment crowdfunding has been able to impact local North Carolina businesses. Investment crowdfunding is a new area for raising capital, and we’re proud that our software is part of the solution to make that possible. Continued evolution of our business model as the software space continues to evolve in the markets we operate in. We’ve survived for over 16 years since startup, largely due to our ability to read the market, detect shifts in customer preferences early, and turn on a dime to follow the market. We expect this will continue to evolve in the ways that we utilize our technology to help automate critical workflows. Is there anything on your website you want to highlight or any special events you want to promote?